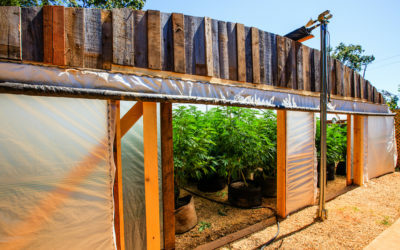 Medicine Box makes strain-specific products including chocolate truffles, tinctures and my favorite, the Medicine Bar. It’s a sweet nutty treat with the energizing effects I like. Each bar contains 20mg of THC, so since I usually get the best effects from 10mg, I can get two doses out of one bar. These are a hard, crunchy nut bar, so you do want to be careful if you are cutting them into pieces. Biting one in half isn’t too hard and I wouldn’t try to cut it into more than 4 pieces as it could start to fall apart. 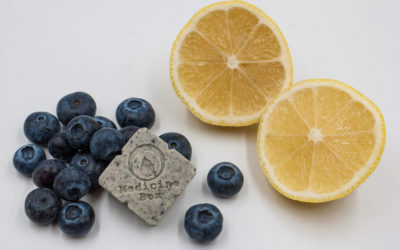 If you are new to this edible, do start with cutting it into 4 pieces and try a 5mg dose first. Wait 2 hours to judge the effects then try more if you want a stronger effect. I love this bar because it not only tastes great, Medicine Bar gives me strain-specific effects from the Sativa strain Sour Diesel. Sour Diesel aka Sour D is used to make the cannabis oil that goes into the bars. Sour D has a very energizing and focusing effect that helps power me through chores, housework or a hike in the woods. 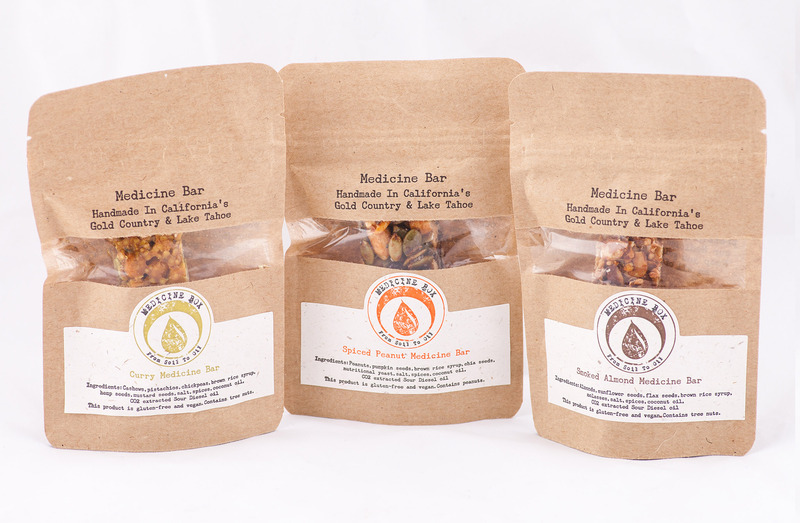 Add to that they are handmade in California’s Sierra Mountains and vegan, it adds up to a winning cannabis edible. 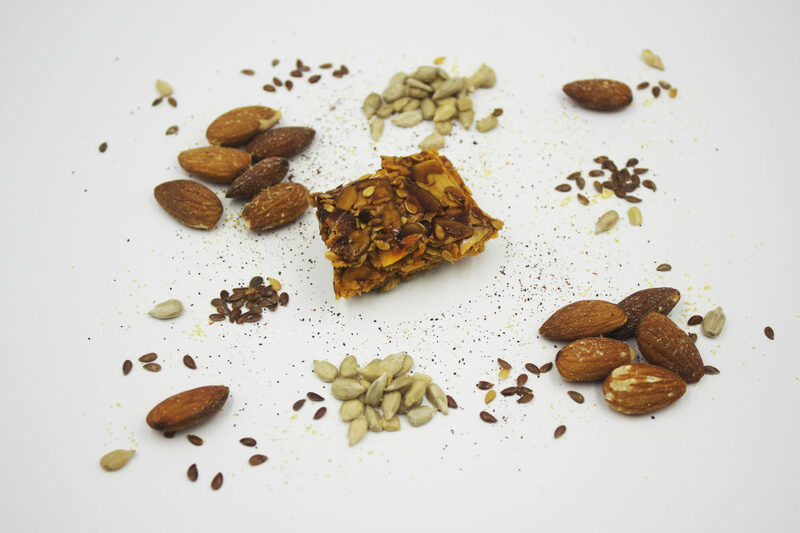 For fans of smoky flavors, the Smoked Almond bar has almonds, sunflower seeds and flax seeds. 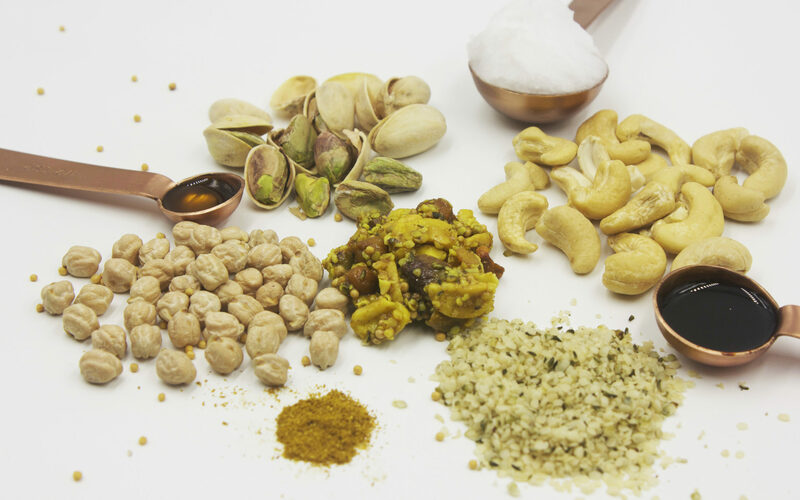 The Curry bar is spiced with classic curry spices, cashews, pistachios and chickpeas. My personal favorite is the Spiced Peanut bar, since I like spicy food, peanuts and pumpkin seeds. I have found these to be one of the most energetic of the edibles I have tried. Happy, uplifting and energetic are all appropriate to describe the effects. 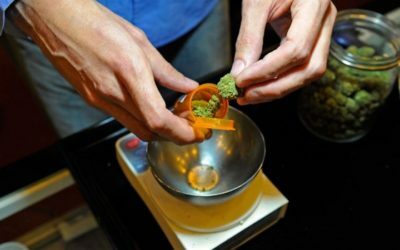 Like many edibles’ producers, they have had to rework their packaging to comply with the new rules for edibles in California. While they are currently dealing with meeting the new packaging and licensing requirements, they are alive and well.